This little Whitening Kit has been the newest addition to my "teeth whitening" products. 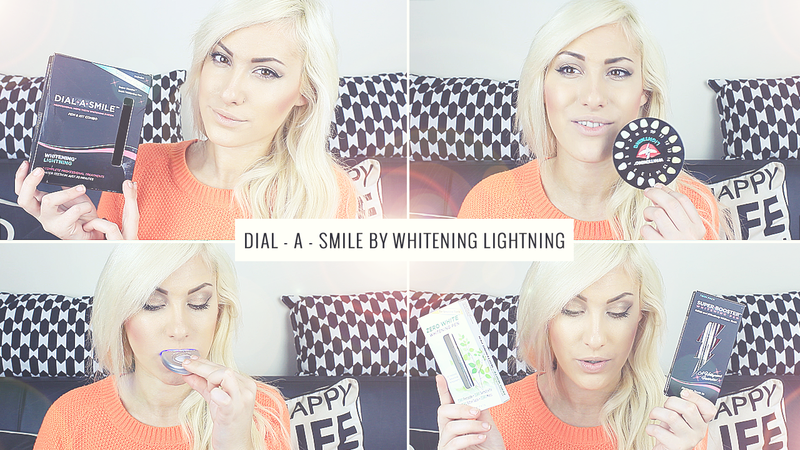 Whitening Lightning is very big on YouTube and is known for their Dial - a - Smile Professional Whitening Kit £60.69* as well as their Makeup Range called Gerard Cosmetics which I have reviewed many of their glosses and lipsticks on my channel - make sure you head over and check them out. Here, I decided to sit down and talk about how you use this kit and my thoughts on the product itself. I do think this is a great little kit if you are a bit unhappy with you teeth and do want to lighten them by a couple of shades. For me this kit is keeping my teeth white, also the Whitening Booster Pens £23.91* are Bonus as they do in fact prolong your whitening process keeping them sparkly-white for weeks. Use "Stefy" at checkout for 25% off from both Whitening Lightning and Gerard Cosmetics Websites.